A lot of people contacted me about the first article on John Edward happy that I went into such detail with regards to how it performs his readings. Well since he performed more readings on that show, I thought I would look at some more and further show that if you know how the tricks are done, any reading, however impressive looking to the average person, can be exposed. Readings like this on daytime TV shows are actually some of the best to analyse. The reason is that they are not edited or produced in house by the psychic, so they are not editing in fake responses and reactions, bad guesses aren't edited out, and as long as you assume that the psychic hasn't planted the audience member themselves, you will get the psychic working in a purely cold reading way, which for people like me, people who actually know all the tricks, is really easy to break down and explain step by step how it is done. The only bad parts are if a reading is stopped due to the show taking an advertisement break, because often the psychic will keep talking to them during the break, and we have no way of knowing what information they can glean during this and then repeat back to them when the show is live again. So with that first watch the video below if you want, and then scroll down to see the Transcript (again done by the excellent forum member "girlseeksghosts") with my analysis and explanations interjected. As always I will work from the transcript so I can be as analytical as possible, but will check the video for certain spots if needed. I don't know where I'm going next because I was pulled there first so I don't know if I am going to be here or if I'm going to be here to you guys so I won't get up until I know that yet so I won't be in the way of the camera; but I feel like I need to talk about the younger male, like the son figure who's passed. So I don't know if someone has lost their son or if there is a younger male that's passed but I feel like the younger male has two father figures with him that would be like he is with his dad and his father-in-law or he is with his dad and his uncle but there's two together and I think that there is an 'R' name that they want me to attach this to. So did anyone lose a younger male? A younger male to me would be like son, nephew, grandson, younger brother, that's what it feels like. If I had to go by 'pull' I was going to say I still feel like I am being pulled in front of me. If it's a younger male then yes, do you have a younger male that's passed? If you read the first article, and you really should have done, you will see a similar pattern again. Lots of questions asked by John Edward, lots of vague comments, and using a huge net to catch the fish. The moment a self proclaimed psychic asks a question, that is how you know they are fake. The moment they use terms like "father figure" or "male figure" you know they are fake. I don't know if that's you, I don't know if I am with you. I have to move. Why doesn't he know? He is supposed to be psychic. Why are the spirits so useless at just giving basic information? I think I'm here. I think there is a younger male energy that I am supposed to talk about so somebody here lost a younger male that I would see as being like below you that would be like a son figure and there's two father figures who have passed. Let me rephrase this, imagine having the two father figures and their younger male, so if you have the brother who passed or if there is a husband energy who's passed and he is with both father figures I would see it as being the same scenario and I know that there is an 'R' name that's connected to it either living or passed, and I am supposed to talk about... that doesn't mean that... there you are, you could be the 'R' so that's what's getting me here so if this makes sense raise your hand so I can get a mic to you so I can hear you. Please read the last paragraph again, then read it again, and now one last time. Do you see anything in there that is specific? One single thing? He comes up with a "R" name. Could be living or dead, Could be the people present, or not, Could be male or female. Just a R name. And straight away the audience member jumps in with her daughter Robyn. and she lost one of her friends about 4 years ago. So she lost a younger male, so this would be younger than you? John asks more questions, remember, he claims to be the psychic, yet he doesn't know anything, he is fishing, he is getting information FROM the audience member, NOT giving it her. We had an uncle that was killed at 21. Ok and is there, is your dad......no that wouldn't be ...? John is struggling here, this is known as "casing" in the business. Basically it is a way of seeing who is best to "read" who will be most forthcoming, while at the same time making it appear like as a psychic you want to be specific. It is a psychological trick which is often done on purpose. Now John Edward has a number of people he can see are willing, he has picked up a fair bit on info, so if he struggles on one, he can switch back to the other, and makes him appear to be more genuine, as he is not just jumping on the first person who answers one of his question in the affirmative. It is a bit like when a ghost hunter will say "nothing happened" as that gives the impression that they must be telling the truth when something does happen. No. Is somebody in the food business? Does somebody work in the food industry or does somebody have a connection to doing something with food? They are showing my symbol for a cornucopia when I see that it means somebody works in food in some way. Our uncle used to be a grocer who lived with Ray. Ok so I think I am with you guys then. So you have the two father figures who have passed? Ok, so it would be like a father and an uncle? Well it's grandfather and his brother. After a lot of digging, asking questions etc, John has decided to settling on this person to read. And straight away he gets the "older male figures" wrong. Ok so where's the 'R' name? Ok and he's the one that worked with food? No, our great uncle is Ray as well, he worked with food. Look at the sheer amount of questions John is asking here. One question after another, and every time he tries to make an assumption, he gets it wrong, and the audience member corrects him and gives him more information. He worked with food. Ok so here's what I know I have, I have the younger male with two older males, somebody who worked with food and there is an R name. Yes you have that because the audience member just told you. They literally told you all of that and you told them none of that. You asked questions to an audience. Why is August important in the family? What took place in August or who's birthday is in August? Is this on your mum's side? More questions, he chooses a month, then asks multiple questions. If anyone can explain to me how asking questions is evidence of psychic abilities please do, as for the life of me I don't get how anyone can believe in John Edward. He then gets a positive answer to a QUESTION. Ok because they are telling me to go to mum's side of the family so is mum still here? John Edward a man who claims to talk to the dead, does not know if this persons mother is dead or alive. She has got a hip problem at the moment. A minute ago John didn't know if the ladies mother was dead or alive. But hang on a second, what happened to the two old males, the younger male, and the R name? Now he is ASKING questions about the woman's mother and if she had a "hip thing"
Now I wanted to check the video on this. If you do skip to 3m25s. Notice how John is stating she "had" a hip thing, as in the paste tense. So with the reply of "at the moment" that is not what John is saying. Now look at the two women he is talking to. I assume they are sisters, they look to be in their 50s, maybe late 40s. So their mother the woman being talked about is most likely to be in her late 60s or early 70s. Both women in the audience are over weight, one morbidly so. So with two sisters, you can also assume that their mother is overweight also, just by looking at them and making educated assumptions. So is it really such a stretch to assume that such a person would have hip "things". This is what psychics do, they look at people, they ASK questions, they make educated guesses. Ok because they are telling me to talk about her hip thing but its only on one side because I don't see it on both sides. Very crafty here by John Edward, after ASKING the woman earlier, she clearly said that her mother had a "hip problem" indicating just one hip. So with this information, John is now repeating it back as if he knows psychicly. Not to mention the fact that people who do have hip issues will nearly always have it on one side. In my own family I know of 3 older women who have had hip issues, and it is always one side first, never both at once. It is sadly very common in women as they get to a certain age, if they carry a bit extra weight. and she is a very, very strong, tough, no nonsense, I don't want any assistance, I can do this on my own, kind of personality. But you got to be careful with that because if she does need assistance or help she might not ask for it so we have to kind of put her in that position. Very generalised comment here. We are talking about someone probably in the 70s. That generation were very much like that. Ask yourself, how many people do you know in that generation that are not strong, tough, no nonsense types when it comes to health etc. Literally every one I know in that generation and above fit that description. Somebody was misdiagnosed, they were being treated for one thing and I think they realised then it was something else. They were being treated for maybe something they thought was this then they realised it was cancer, where is that? I have a whole bunch of stuff going on in this section so I have that and then I have somebody who passed from a suicide where their actions brought about their passing. So that might be somebody else in this section so if you have the suicide or somebody's actions brought about their passing they might be jumping in, separate from this. So not only are the two older males, and younger male and the R name forgotten, he is already going to forget about this old lady with a bad hip and move on to someone with a misdiagnosed cancer, and then a suicide. Oh yeh I was just saying possibly it's me sorry! Oh sorry because I feel like I am supposed to bring that up. How is that connected to you? Mark ok, I just need you to know that that's their way of letting you know. Is Mark connected to your dad's side of the family or is his dad still here? This is really sad to see, the woman is almost instantly in tears, this is the sad side of the psychic con. Anyway lets look at what John said, he asked the question of who it was, the woman told John it was her cousin, John Edward did NOT know. Next he is about to ask her the name, Michael, Mark or the M.... she then cuts him off and volunteers the name of Mark. Now believers will watch this and say that John Edward knew the name of the person who committed suicide and that he was called Mark. But no that is not what happened. John said two incredibly common names, and was going to go on to say "M sounding name", but the woman cut him off and she told him the name was Mark. Lets just say that John had continued talking. If that woman had ANYONE in her family with the name Michael, Mark or any M name, that would be classed as a hit in the eyes of a believer. But John did NOT tell her the name Mark, he was asking a question, and the woman told him the name. This really is an important difference that it is sometimes very hard to spot, especially when the client is jumping in and volunteering so much information. I need to talk about the issue with dad. So I don't know if your cousin is talking about you possibly having an issue with dad? I'm sorry to do this on live television, is there anything going on with dad I need to bring up? I don't know my biological father but he passed last year I think. Yes my dad.. like my real dad. but your biological father has passed? This is a huge fail here by John, he clearly assumes that the girls dad is alive and that she has "possibly" had an issue with him. Not only that the woman then gives away a load more information about biological father, which of course then indicates she has a step dad and so on. And again notice how John Edward is just asking question after question and not really telling her anything. Ok, your cousin Mark is letting me know that dad, the one that you had the issue with which was maybe not knowing or not having a connection to, is there in spirit and watching over you. A moment ago John didn't even know that the dead person was her cousin, SHE TOLD HIM. He guessed the names Michael, Mark or M, again SHE TOLD HIM. John didn't know her Dad was dead. He is just repeating back to her everything she told him. Now here is the interesting thing, I don't know if you had one experience with him at the age of 13 or if there was a one-time meeting where you guys connected and he kind of disconnected from you in some way. Again remember that the woman told John that is was her "biological dad", no one refers to their father as "biological" unless they were abandoned, or they were adopted, and so on. So from the information that she gave to John Edward he has now created the scenario in his head, which he will now ask her questions about to try and make everything fit together. I feel like I'm supposed to tell you I'm sorry and apologise for not being able to cope or be responsible for what took place at that time in your life. That actually created and started some stuff for you in your life and sent you down a unique path but you're trying to work thought that. Is there anybody who had some type of either... I'm going to be really off the wall like crazy for a second so do I have your permission to be very personal? Again he says a lot here but never really gets an answer to the specific things he asked her. Then at the end of his rambling he asks a question, that way he is almost guaranteed to get a "yes" reply, despite her not confirming anything he said. Psychics do this so that others in the audience, and even the client themselves remember saying the word "yes" to the psychic. People remember people confirming things. They do not remember the details, the questions asked, how things were worded, all they remember is the final response, and emotions. I have to wrap this up but I will talk to you after the break with this if thats ok. So before the break I was just about ready to say something and then we got pulled away so I want to come back and repeat what it was I said off camera but everybody here heard me say but I am going to ask you again but for the folks at home. I asked if there was somebody who had a, I don't know how I phrased it before, if there was somone who had swiched genders in some way and you said? Now unfortunately we don't know exactly how John worded things in the break, and how much information the woman gave him. But if history has shown us anything, it is that John asks a question and the client gives him all the information. So this would be your biological dad's way of talking about seeing what's going on in your life and not being a part of it. I feel like there's like you know separate from your relationship, separate from stuff, communication is very very key in anybody's relationship and I feel like sometimes, and I'm very sorry to put you on the spot but I feel like if someones made that choice to become empowered and know who they really are on the inside and reflect that a lot of communication and inner dialogue has to take place but I feel like sometimes you lack in that arena, you lack in the ability to dig deep and express that, you can talk and you can communicate, but really owning your own feelings, imperative. (Turns to lady's partner) How do you feel hearing me say that as partner? Yeh, well she definitely talks a lot. but the depth of it, you want more, you need more, correct? I have to admit, I was surprised to see John Edward go down this whole gender issue route. So I thought I would check the video for clues, and yes it is quite clear that the ladies partner is transgender, so for John to ask her if "someone she knew had switched genders" well, its quite clear why he asked. And perhaps before the John Edward segment they may have even had a discussion about Trans people, and if he was watching backstage. Just a thought. And I feel that you need more as well. There's an interesting thing about nine kids in a family. So I don't know if someone is one of nine or whats the joke about nine? Hopefully not for us, but my Nan is one of 13 and my grandad is one of seven I believe, so maybe nine is in the middle. Completely wrong. Just took a number, made a guess and hoped the client would make it fit. What I see is this, my mum is one of 11 and I get them as like five and six there was like five boys, six girls so either nine of one and then like 3 of another one or 4 of another, was somebody one of nine? Yes I think I think my nan was one of nine girls. So as expected it has been made to fit. and the cousin did he cross himself over because of drugs or was there some kind of issue of drug consumption connected to that? Bizarrely he goes back to the dead cousin, and takes a chance with drugs being involved, and gets lucky. Whether it is drug overdose, or suicide via drugs, sadly it is a major cause of death in young people. Also keep in mind that John kept talking to this lady in the break, so we have no idea how much she gave away then. I just feel like this is their way of saying we see what's going on around you and I do think there is going to be some type of legality that you have to work through, so I don't know if you're dealing with laywers or if you are dealing with something legal now in order to get something forced through or to get something approved. It's almost like what they are showing is like when my mum was sick and her health insurance wouldn't cover something that she needed. It was just like right outside the box and they would not cover it and I had to like fight to get them to cover that. So I feel like I'm trying to get something included inside the circle of something. So I hope that helps. No confirmation or talk about anything there, it just ends. So Looking back, did John get anything right in the whole reading? He jumped from one dead person to another, 2 father figures, a younger male and a R name all quickly forgotten. An educated guess about if someone was transgender, just by looking at them and hearing their voice. Wow that could have gone really badly if you think about it. Out of the whole reading, being really generous, I would give him two hits. Just two. The name Mark, and Drugs. The Mark name was part of a question which the woman interrupted him and gave him the information. So you cant really count that, its a very common name and he was asking a question. And secondly the comment about drugs. We never really found out what happened to the cousin, why or how he killed himself, so it is all left very open to interpretation and vague, so this woman might leave the studio and be convinced. Personally like all of his other readings I was just not impressed, not at all. He asks question after question, he repeats back to people what they tell him, and we are expected to believe that he is psychic. Sorry John Edward fans, he is not psychic, he is a fake. And with that I am done for the day. If you would like to show your appreciation for my work why not donate an Amazon Email Gift Voucher to me to show your appreciation. I do this for free, you will never see a load of ads on this site, so the only way I get anything out of writing, or running this site is if people donate. Lyndsay Edwards - Psychic Predictions 2017 - A Look at what was right or wrong. I had never heard of "psychic" Lyndsay Edwards until a forum member mentioned that she had published a load of psychic predictions for 2017. Well since we are now nearly at the end of 2017, I thought what better time would it be than to take a look at what she got right, and see if her claims of being a psychic are real or just a bunch of lies to make money. "All psychic predictions on this website are given to me by spirit and are not my thoughts/words/wishes." In other words if they are wrong, you can blame the ghosties. I will also note that I do not have a copy of these predictions from when they were written, plus the page has been edited many times, oh and guess what, the Wayback Machine has no archive copy of her predictions and the page it is hosting on, bizarrely was not even linked to from the main page of her site until September according to the archives. If I miss something please leave a comment. I have added my comments between each prediction in red. As of 30/11/2017 Donald Trump is still alive. I can understand why someone who make such a prediction as there were a lot of threats made against him, even Madonna called for the White House to be blown up. As of 30/11/2017 Theresa May is still the UK Prime Minister. Again with all the talk at the time, this was brought up a lot, but instead of stepping down, the PM went on to win an election. Since 2017 according to Wikipedia there has been 27 separate attacks attributed to ISIS, 900+ dead, 7400+ injured. So clearly in March 2017 Donald Trump had not won any war, but he had said many times that he would wipe ISIS out. However in the last few weeks of November, ISIS has lost all territory in Syria. I searced the whole month of May for any action by Macron that would fit a "wrong judgement call" and apologise, but I could not find anything at all. But most leaders will make a bad call and have to apologise, it is part and parcel of being a leader of a country. In a blog post accompanying this prediction, Lyndsay Edwards made mention of a female hostage. The only possible thing that could fit this is when Trump dropped the MOAB on Isis militants in Afghanistan mid April. No Hostages were killed as far as I can see. 12/04/2017 Theresa May sends troops into Syria to tackle ISIS – She did agree to send 100 more troops into Afghanistan on 9th May 2017. The blue writing is an edit by Edwards. And yes in May NATO had urged the PM to send more troops into Afghanistan to fight a Taliban come back. HOWEVER the claim was to send troops into Syria to tackle ISIS. Wrong country and wrong enemy. The closest I could find a fit here would be the various Hurricanes that happened. But these happen every year. Of the big ones Hurricane Maria caused a lot of flooding and damage, this was in September, as was Hurricane Irma. Does this fit with an ocean exploding? Yes Justin Bieber did indeed get photographed with a girl in October! However he also got photographed with a different girl pretty much every month, he is consistently on/off with Selena Gomez. So it is hard to take seriously a prediction that is so incredibly likely to come true regardless of when you say it will happen. It is a bit like me predicting that Donald Trump will tweet something that will cause outrage in December. We all know it will happen, so is it really psychic? Nope never happened. Although there was the Westminster attack in March whereby 52-year-old Muslim extremist Khalid Masood, drove a car into pedestrians on the pavement along the south side of Westminster Bridge and Bridge Street. Perhaps if Lyndsay Edwards had been a bit more vague, she could have got a hit here. Yes there was a terror attack in May, and Children were the intended target. However with the way that Terrorists work, this was pretty likely and only a matter of time before someone successfully bombed an event like this. Italy has not had a single Terrorist attack in 2017. In fact their intelligence on the matter is one of the best in the world. Although many pundits have expected Italy to be attacked eventually. Everywhere else has. Nope, although it is the Pope, there are always threats against him. If anything people in the New Age / Spiritualist movements are more divided than ever. There was no "huge" protests as such. There has been various marches. But the only marches against Terrorism have been by groups like the EDL and events organised by Tommy Robinson, which to be far have had large numbers in the tens of thousands. So I will say this prediction is correct, but usually when there are terrorist attacks, people will protest them, its not a huge leap to predict this. Donald Trump literally doesn't get on with another country's leader every week. Him pulling out the Paris Agreement was not even a disagreement with a leader. Plus it happened in June. So this is a real stretch here. 04/05/2017 Donald Trump is having secret meetings with cash exchanges – Happened: Trump caught having secret meetings. Now Lyndsay Edwards links to an article titled "Trump and Putin had 'secret' second chat at G20" It was so secret that every single mainstream media outlet reported on it at the time! It also had nothing to do with cash exchanges. 19/05/2017 Madeline McCann was accidentally killed in the apartment that night by being slammed into the wardrobe, she hit her head and died instantly, her body was disposed of at sea and she has since been reincarnated. Nope, none of that has been said or revealed. As far as the police are concerned it is still a mystery what happened. There has been no Terrorist attacks on schools in America in 2017. Lots of random shootings as usual however. Earlier on in these predictions Edwards clearly stated that Theresa May would step down. So I am guessing these predictions have been added to and edited as the year progresses as opposed to one long list added at once. To predict that Theresa May would win the election was an easy one, as the whole point of the election was to increase the number of seats they had, there was never any chance of her losing. The fact that Edwards already predicted she would step down makes a mockery of this prediction. She is 36 now, has no children, so it is likely she will want kids soon so this is an easy prediction to make. Will have to wait and see if it comes true. She wrote this in June, the day AFTER the London Bridge attack. The terrorists did not have guns, after running people over they went on a stabbing spree before they were shot by Police. There has been no shoot out in Westminster. She is writing this the day AFTER the London Bridge attack. I can only assume this is nothing to do with predictions but has added this here just to link to a blog post whereby she actually talks of a vision of Trump being assassinated with a bow and arrow! We have been bombing targets in Iraq and Syria since 2014. No. In fact he has tried to repeal Obamacare. Terror attacks have been planned for pretty much every country. However Italy is one of the best at stopping them and as of 30/11/2017 They have not had a single attack carried out in Italy, although I suspect it is inevitable that they will miss one. The closest I could find to this is the Las Vegas shooting. It wasn't near the stage area, instead the shooter fired blindly into the crowd from a hotel window. Apparently not a Terrorist with an ideology. Official line is that he was a lone gunman with mental issues. Personally I believe he was radicalised by watching the liberal US media and their demonisation of Trump and Republican voters, and he decided to take out his anger on these very people. Notice how the US media have not reported on this since it happened, and it is almost like it never happened. I hope one day the truth will come out, but sometimes the silence tells its own story. Anyway that is just my crazy conspiracy brain. Edwards here puts "Happened" after this, but I can find no evidence that Kathy Griffin faked death threats against herself. Bieber did NOT cancel his tour because of any terror threats. And since Terrorists are looking at big events to target, any big name singer could be a target, but as far as I can see Bieber has not been mentioned. 26/06/2017 North Korea Leader Kim Jong-Un declares war & missile collides with U.S military aircraft – Happened: North Korea declared ready for war against the US. No North Korea missiles have hit any US Military aircraft. As for Kim Jong-un declaring war, he does this every week. She stated Dubai or the Trafford Centre in Manchester within her blog post, as of right now there has been no shopping mall terrorist attack. Well unless it happens by midnight tonight, this is another fail. It seems that she just picks out a popular location that a lot of people would attend, and states there will be a terrorist attack there. Of the 3 she mentions, none have happened. Although the cloest would be last month's Nuneaton bowling alley hostage situation, however it was not a terrorist but an ex-partner of an employee at the bowling alley who did it. Funnily enough this has been a constant speculation by the far left media in the States ever since the election and their candidate lost. The irony is that the DNC Primary WAS rigged against Bernie Sanders, and the fix was in for Hillary to win. As for Russia being involved in the election, despite constant attempts to blame the Russians for just about everything, there is not a single piece of evidence that Russia rigged any election. In fact if anything the Russians were helping Clinton with the fake dossier on Trump. 10/07/2017 Love Island Couples Predictions: Dom & Jess will get married (They’re now engaged) and have a child, Jess is fame hungry Happened all over Instagram etc, Kem and Amber will move in together Happened, Marcel will propose to Gabby but they’ll split up, Camilla and Jaime will date for a short time outside of the villa, Chris will end it with Olivia for good – Happened 12/07/2017. It is Love Island, a scripted reality show, I do not care. You can have anything Love Island related as correct predictions if you like. 13/07/2017 Chris will go back on his decision about ending it with Olivia and then regret going back on it (Happened), Chris & Olivia will have another row but this time Chris will be shouting at Olivia for being so disrespectful (Happened), Mike pursue’s Tyla, Theo is at a loose end with the ladies in the villa with no one he feels he wants to really pursue (Happened). Wow so much detail about a scripted reality show. Again I do not care. Might as well predict who will win at Wrestlemania. 16/07/2017 Donald Trump will break his arm, Someone will find hidden evidence in Trumps office related to the US election Russian scandal, Trump will be assassinated before any charges can be brought against him but the case will continue against his son. Trump's arm is fine, he has not been assassinated. No evidence against Trump has been found in his office. Pretty much all of this prediction is just what she has been reading in left wing magazines and newspapers. They don't need to accidentally kill anyone, they just kill who they feel like. 02/08/2017 Stephen Bear will propose to Charlotte Crosby in December 2017 and they’ll have a baby while engaged. No idea who these people are, still a month to go, I assume they are an item and are in the magazines, so I suppose this is pretty likely so they can sell the story and make some money from a photoshoot. I thought he was gonna be assassinated? Make your mind up! As for Prisoners to make the wall, that is a good idea, I hope he does it. 10/08/2017 North Korea leader Kim Jong-Un to announce he’s ready and fully prepared for war against USA – Happened: North Korea declared ready for war against the US. He and his father have always said this, nothing new. The Niger attack could fit this. Although if you look at the amount of places that US Troops are located around the world, and the amount of dangerous places they are, it was only a matter of time before this happened. So yes she gets this right, but it is more an educated guess than any kind of specific prediction I am sure everyone would agree. Terrorists have been killing people by using vehicles, sadly this is now their preferred method. Although I don't recall any attacks near a beach in the UK, this is likely to come true eventually. Again I thought you said he would be knocked off? 24/10/2017 Prince Harry will get engaged to Meghan Markle November/December time (Happened) but split up before any wedding takes place, Prince Harry will meet the girl he is going to marry not long after splitting up from Meghan. Everyone was predicting this, it was nothing like a surprise, not in the least. However the idea he will split up with her, that is one to look out for. I believe they will indeed get married, have kids and live happily ever after. Yes very likely. We get a terrorist attack on average every couple of months. Perhaps, it is kinda what young people do when they are in love. Hardly a bold statement. And that is where we are upto. I think you can agree that her predictions are a mix of completely wrong, and educated guesses, nothing psychic though. Nothing specific on the ones you could argue were right. Since I published the analysis of a couple of readings by Harry T whereby I showed step by step exactly how he was doing it, it occurred to me that the name of this site is indeed BadPsychics, that perhaps I should expose a few more psychics, as I had become a tad lazy, and by doing the reviews of Most Haunted, I had become a bit of a whore for ratings. Reviewing Most Haunted gets me easy traffic to the site, but after I checked how many people had read the Harry T article, I realised that in fact more people read that, than the review of MH I had done the day after. So bizarrely it seems that people are more interested in seeing me expose fake psychics than make fun of a fake ghost hunting TV show. Well, after speaking to someone via email, who had insisted that John Edward was the real deal, I thought I would revisit this man. A man who has in fact been exposed as a fake many many times over the years. I was challenged to analyse a reading he had done on an Australian TV show, as this I was told was similar to the reading they had received, and that they could not figure out how he was doing it. So I summoned my favourite minion to transcribe the reading for me, (Forum member girlseeksghosts), and below is what I found out. Now for the record because people ask, when I analyse these types of readings I prefer to make it as analytical as possible, I take out any emotion. So right now, as I write this I have not seen the video. I will work only from the transcript. I do this as it allows me to concentrate purely on what is being said. Now should I come to a part that I cannot understand how it is done, or I need to know a bit more about the person being read for context, I will then watch the video to see what clues were given away by the audience member, or to better understand why something was said. But usually the words are enough. It allows the purest form of analysis. And I advise anyone who has ever been convinced by a medium, to get the reading transcribed, and read it through. Much like any magic trick, when you see the routine written down, it is much easier to figure out how it was done. So with regards to a psychic reading, you can see how many questions are asked, how many hits/misses there are and so on. First you can watch the video yourself if you like. And after you have scroll down to see my analysis. I was getting pulled to this section and I feel like there is a father figure reference that they want me to bring through so I don't know if there is a father figure for you guys who passed but that to me would be like father, uncle or grandfather. There is J or a G name that they want me to highlight so that's either someone who is living or passed but it's in that section over there, does that make sense? I always find John Edward easy to expose, since he uses a technique called "Shotgunning" basically that means he fires a load of information out very quickly and hope that some sticks. Whenever you hear the words "Father figure" you know you are dealing with a fraud, someone cold reading. The reason they use these words is because it widens their net for catching the fish. It is deliberately vague. Father Figure could be, an actual father, step father, father in law, grandfather, great grand father, older brother, older male friend, any older male relative, uncle, cousin, a friend of the family, someone you work with. Basically any male who is older than you. And even John admits this when he says "father, uncle or grandfather"
He then says that it could be someone who is alive or dead! So to clarify here, the man who claims psychics powers, and can talk to the dead, is ASKING the audience member if they know someone alive or dead, or could also be a father, uncle or grandfather. And then he expands this by saying a "J or G" name. So to get a hit, he needs the woman to acknowledge, 1 of 3 possible relatives that are dead or alive, with a name that could be, John, Jonathan, James, Julian, Jacob, Jason, and Jeffrey, Jushua etc etc. So this as you can imagine is a pretty huge net. But the hilarious thing is the woman says Father in Law, so not even one of the 3 that John Edward guessed at, but since it was a father figure, the net is so wide he will count that as a hit. And then he asks her again "Passed?" and she confirms. And there's got to be a J or G name connected to that. Yes, he's Giovanni but we call him Jonny. So with the huge net cast, the woman comes back with Giovanni or Jonny as the name. Note. John Edward asked the woman if she knew a G or J name, He did NOT know the name he did NOT tell her the name, he did NOT know the relation to her, he did NOT know if the person was dead or alive. ALL of this information the woman told to him. This is how basic cold reading works. There's a five connection that they want me to talk about so the five connection to me would either be the month of May because that's the 5th month or the 5th of a month, birthday or anniversary but there is something 'five' related that they want me to talk about and he has to have a child that's with him or there is a younger energy that passed so there's a younger person that's connected to him, correct? Back to shot gunning, he is giving a lot of information here very quickly, this doesn't let the woman really think, every guess he makes regarding the "five connection" is wrong, every single one is wrong. Not a month, a day, an anniversary a birthday, hell just by pure chance I am surprised he didn't hit on anything there. But the woman has found something that matches the number 5, that being how many kids he had. Remember John Edward did NOT say this, he did NOT tell her, she is telling him the connection. All John said was the number 5. So other possibilities to the number 5 could be, outside of what he said. House number, so 5, 15, 25 etc. Age the person died (50, 55, 65, 75 etc), a favourite number, how many animals he had, a military number, a number on a tattoo. Basically when a psychic is this vague, and just asking questions, then something like a simple number is almost impossible to miss on. John guessed that one of 5 children had passed, it was in fact two, so John is wrong here, just think how much more impressive this had been if he had said straight off that 2 of the children had died. But please don't forget, John did NOT know that any child had passed just seconds earlier, remember the audience member told John that this man had 5 kids, John Edward was going on about months and birthdays. So he has taken information given to him by the person being read, and is letting that shape how the reading continues, again this is basic cold reading. John is clearly talking about one of the dead children here, probably assuming that someone died in a motorbike accident, or a car accident, it is a typical go to by many psychics as everyone knows someone who has died in such an accident. 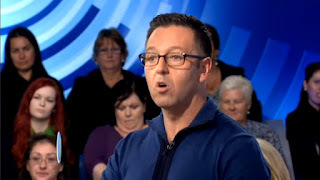 But again John Edward is wrong, and the audience member tells him that it was her Father in Law who passed from someone head related. But lets quickly look at how common head trauma is when someone dies. 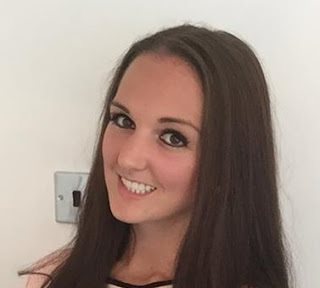 As I previously mentioned, any kind of vehicle accident, whether as the driver, passenger, or even being hit by car, then there are brain tumours, brain cancer, water on the brain, brain swelling, stroke, dementia, and on and on. So any of that would be a hit if you are so vague as to say "something head related". Ok so there was something head related that comes up with him. A Catherine or Karen, there is a C or K name but it's a nickname not a real name so it's like somebody that was known to have C or a K, I hear the 'K' sound. He's got a younger daughter Celina. John quickly moves on, since as part of the shotgunning technique, you want as much info given in as short a period of time as possible, then you move on, that way after the reading when the client is remembering back, there is simply too much to remember, so they tend to concentrate on things they feel were right, not realising that it was in fact they who gave all the information away. It is time for more guess work. I wont bother listing all possible C and K names, you get the idea. The woman desperate to keep helping John forwards the name Celina. That would be an S.
No, no it phonetically would sound like an S to me so I can't accept that, its got to be a 'K' name. Think like Coco or Kiki or Keara or someone with like a 'K' kind of name and then they are telling me to you that.... has his wife also passed? Just keep in mind they are in Australia, and you can understand why he guesses those names. Next he then ASKS the woman if her father in laws wife had passed, again note John does NOT know, he is asking a question, not making a statement. The woman answers, and therefore is giving John information, not the other way around. If you have to ask, then you are not psychic. Because I see him with his contemporary which is the wife energy and someone had congestive heart failure that means like they fill up with fluids or heaviness in the chest in some way and that was either his sister or somebody that would be like a sister figure to somebody that's here because they are talking about the sister figure, now is there some reference to him losing a sister as well as his wife? There was a lot of family overseas in Italy but there was one that went.. Hang on, we moved away from the wife, and now to a "sister figure" of the man who died, John is very clear here, he is talking about a dead sister figure, to the dead father in law of the woman being read. But then that quickly changes as he points to a woman near the woman being read. John ASKS her "do you know her?" And the woman reveals it is her sister. So again John is jumping all over the place here, what happened to the father in laws dead wife, or his sister/sister figure, all of that is quickly forgotten. He then starts talking to the woman's sister in the audience, and instantly gets things wrong when he ASKS if her mum had passed. Again he did NOT know, he is asking a question, and this time the reply is "no, no"
Then who would be the aunt you are named for or the older female that has passed the name down? They are showing me parallel lines so when I see parallel lines it usually means a name has been passed down. Crystal, my auntie's daughter is Crystal and my daughter is Crystal. This is hard to keep up, when reading text on a screen, imagine facing this barrage of ever changing info face to face and trying to keep up with what is being said. So John was wrong when he asked if the mother is dead, so he goes to the next best thing, that being an aunt, but John was originally asking who the woman being read was sharing the name with, that is what he was saying. But the woman then TELLS John that her cousin and her daughter share the same name of Crystal. Again none of this information has come from John Edward, he has been consistently wrong on every question he has asked, ever assumption he has made. Everything, every important detail he has been wrong on, but the sheer amount of information he has said, the speed in which he says it, the way he asks a question and latches onto the answer, its incredible how fast he is. Ok and is your aunt passed? Again John does NOT know, he is asking a question, something a real psychic would never need to do, this time the assumption made in the question is correct. It is afterall a 50% chance of being right, and looking at ages and so on, its a fair assumption to make. So that aunt, C or K name, is connected to you as well, correct? Yes it is her Aunt, that is how she is connected, she has literally just told you that. You are all connected its just how I have to get it in my head, so the C or K name is telling me to come to you to you to acknowledge how the name has been passed down, so you both have children with the same name? Back to the C/K name, and he is now stating that this person with this potential name is dead, and that is who is talking to him. Bizarre that the dead person couldn't just say "my name is...." Instead they say "I have a C or K sounding name, you work out the rest"
Now I don't know if there is some reference to you going to school for healthcare or somebody dealing or doing something healthcare related? Which Crystal? The cousin, the daughter? Ok that so thats just my way of backing up the information. Why do I do it like this? Well for all the people that are going to tweet me that I am not actually doing this, we have never met, correct? I have not spoken to you? So who is the dead person with the C/K name? John is now for some reason doing the old magicians technique of making sure everyone knows the audience member is not a plant, but he has literally gotten everything wrong, so who would think this was a plant I don't know. I just want to be very very clear. One of the most important things is validation and what this does is show that your father in law, your mother in law, with their children and connected to your aunt who's passed, its their way of saying they are around you guys and they see what is going on. Did you know that somebody is expanding their family did you know that there is either like an engagement and somebody is kind of getting together or there is a marriage and people are expanding, do you know this? I am legit getting a headache trying to keep up with all of this. Since when was there a mother in law? This is the first she is mentioned as far as I recall? Now he is ASKING if someone is pregnant, well lets be clear here, we already know that this woman has a lot of family, her father in law had 5 kids for a start, we have cousins mentioned, daughters and so on. So to guess that someone might be pregnant or thinking of starting a family, but then to not actually specify who is really really vague if you think about it. But also notice that he also threw in their a marriage, an engagement, blimey this net is so big I don't see who wouldn't be in it. Ok so its been announced already? Now at this point, John does not actually know what the announcement is, is it a baby, an engagement, a marriage, so note how he will not specify anything until the woman tells him. Why am I feeling like we had to put it off? Like what did we have to put off like did somebody put off their date? Or they put off doing this. They had put something off, I feel like it can't happen now it has to happen then, its like a putting off of something? So they decided to it put off? Once again the woman gives away the info, John Edward did NOT know. And again all this information is coming from the women in the audience and NOT John Edward, he did not know any of this remember, he asked a vague question and the women filled in all the blanks. This is known as "fishing" hence the reference of nets I keep making. Its all good! Now we saw a very cute video ealier in the show of a little dog messing around with the cat. They are telling me that you have one of those that passed, somebody has a dog thats there and it's so funny I supposed to talk about all these people in your family and the reaction the dog got was bigger than the people, no matter where I go it's the same. So first of all do you think that John was perhaps watching the audience while this video of a little dog was playing earlier, and seeing peoples reactions? How often do you see a dog on the TV or in real life and turn to someone and say "oh look at him he is just like Rex", so that is a possibility here, however I just think that John took a simple guess here, since most people have pets, and everyone has had a pet die on them, and he is talking with 3 people pretty much here, so its an easy assumption to make that one of them would have a dead dog. I could start on the logistics of pets being in the afterlife, the sheer number of dogs and cats etc that have ever existed, then you have to ask about other mammals, are all mammals in the afterlife? All mammals that have ever existed? Just think about that for a moment. Is it starting to sound ridiculous enough yet? I supposed to talk about either somebody had a mishap on the big boat or there was a mishap in the family on the boat or there is a joke about the mishap on the boat? I just got off a boat! Once again John makes a vague comment and then ASKS a question about a boat, straight away the daughter comments about a cruise (not a boat), but then the mother continues. They were kicked off the boat! So a man overboard is what John says, the woman however says something completely different in that someone was kicked off a boat, two very different things I think you can agree. Yes, It happened? Was it somebody you were with? John doesn't know because he is not psychic, so he ASKS the women. He assumes it was someone they knew, but his assumption is wrong, and by telling him it was not someone they were with, that sets up his next reply. Now if they had answers his questions with a "yes" and that being someone they knew, would he still have then said "good riddance"? Probably not. This is how the reply of a client shapes the reading. If you had to ask for someone to come through today, would it have been your father in law to come through for us? I feel like he's in our house all the time. More questions from John, remember back at the beginning, John had no idea who he claims had come through, the woman gave him all the information. John Edward asks a question, gets a reply, and then uses that as part of his reply to make it sound like he knew all along. Psychics gives Answer: Yes that is what I thought. Can you see how the psychic is using the answers to his questions to shape what he says next. This is cold reading. This is the method used so that after the reading has finished, and the client is remembering the reading, they will remember these confirmations as if the psychic knew all along, or like the psychic told them, when the truth is the complete opposite. The ONLY way to keep up with what is going on, is by analysing the reading and really seeing and understanding how they are doing it. I'm so glad that you have said that, I'm not going nuts, I can go home and tell my husband. You're not nuts but why is your husband not taking care of his stomach stuff? I'm just passing on what I see I am not a doctor I can't diagnose I just want to know why your husband is not taking care of his stomach stuff? Oh I don't know about any stomach stuff! 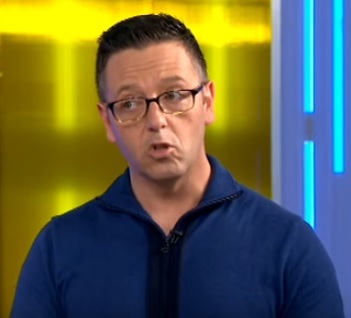 The woman mentions her husband for the first time, and straight away John Edward jumps on it, and ASKS why he is not taking care of his "stomach stuff". And of course its a complete miss. 100% wrong. But to understand why he said this is to understand how psychics work, they work on statistics, on educated guesses, and so on. Looking at the woman he is talking to, he is guessing her age, looking at her own outwardly physical condition, and making assumptions about the husband without ever seeing him. So she looks to be in her 50s, over weight, so it is fair to assume her husband is older than her, so maybe 60 or on his way to 60, and if she is overweight then good chance he will be too, so an overweight man around 60, well most have issues with diet, with their stomachs, many will be on drugs for other issues, and those drugs can affect the stomach as a side effect, however in this case the woman's husband has a good stomach, but I wanted to show you how psychics think and why they say the things they do, it is all about educated guesswork. No, no, isn't he the person, oh maybe I got the wrong guy. Is there another son that he has that has like really bad acid and stuff? Yes one of my sons, yes yes. So John admits he is wrong but doesn't want to give up, so moves it to a son, the woman then tells him it is her son. Why is that not checked? Oh it is he has been to a specialist about that and he is on treatment now for it. There is no way around this, John is wrong on every step, first he assumes the husband is ignoring a problem with his stomach, he is wrong so moves onto the son, and again assumes he is ignoring the problem, but is wrong as the woman says that the son is being treated and not ignoring it at all. Ok, so maybe it's just they are showing it to me, it's like we see it happening. I always err on the side of lets be cautious, lets look at it!, Maybe ask him if he is taking his meds, maybe see if there is any change in that. I know I'm in Sydney but is he in a different part of the country, in a different place? No he lives with me but he is going soon, moving soon. That's just his grandfather's way of looking after him. Thank you very much I hope this helps. And that is that. Every full name that John said was wrong. All of them were wrong. He got the relations wrong, he got the conditions wrong, he literally got every single thing he said wrong, he asked a ton of questions, the woman gave him all of the information. This was a really poor reading. But look at the audience, look at the reactions, the people lapped it up. John Edward never said a single statement that was correct, the closest he got was by saying there was a dead dog, he never said the name of the dog, the breed, nothing. There was not a single part of that reading that even came close to being right. Yet the audience all lapped it up. And the reason why, is because John Edward is incredibly good at his particular type of mediumship, he has performed this style day after day, year after year, he does it now without thinking, he just fires off so much information, that it is hard to keep up, even me with text on a screen which I can read over and over found it hard to keep up. Yet when you really get to the bottom of it, he is a terrible psychic who gets nearly everything wrong. Yet he is one of the most successful psychics in the world. He is charismatic, he has a near perfect method of delivering his readings in a way that make it very hard if you are the recipient to even follow, never mind debunk. Anyway I hope that I helped people better understand how Psychic John Edward works. And perhaps give you the tools to spot other fakes who use similar techniques. As always if there is anything you disagree with, let me know in the comments.